The project began with the removal of 1900 cubic yards of topsoil and backfill. There was extensive site dewatering due to high ground water levels. The project also included the excavation of 1750 cubic yards of above subgrade material and subexcavation / replacement of below subgrade material. 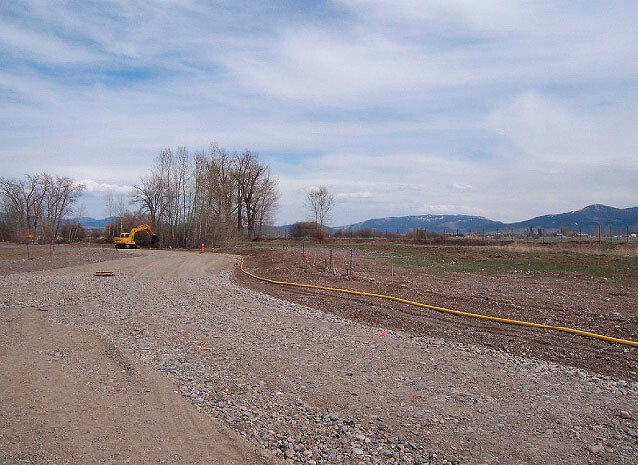 This also included the installation of 4000 feet of sewer and water piping, and providing, placing and compacting a 3” thick by 24’ wide asphalt pavement approximately 2 miles in length.